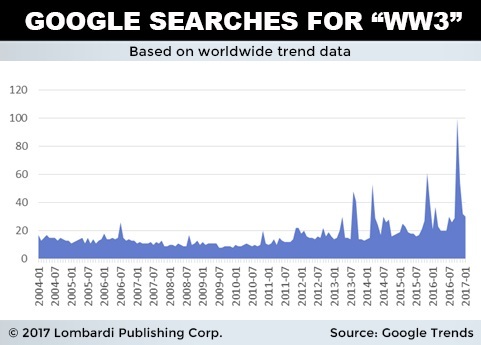 Google searches on World War 3 are way up according to Lombardi Publishing Corp. Compared to 2004, 2017 has almost quadrupled the worldwide trend of searching the war term. It comes down to the big question being asked: Can there be a World War 3? Global instability is at its height, and the US is acting on their words and displaying their military prowess. But so too are other countries. What happens if North Korea acts on their threats as well? And this is the slippery slope. There is indeed another Cold War in our shadows. It’s downright knocking on our front door. We’re feeling the same chills our parents and grandparents did. The critical moment could be days or hours away or it may never happen – this is our Cuban Missile Crisis and the stakes are very much higher. Kim Jong-un is issuing promises of something big. Russia is warning the US not to cross another red line or there will be military consequences. The US continues to sabre rattle and China is caught in the middle. There is no doubt that North Korea is destabilizing its own region. This one isn’t a false flag. Unfortunately, it also equates to destabilizing the world – threatening with nukes tends to have that effect on world leaders, and rightly so. And then you have the South China Sea dispute. Even Napoleon Bonaparte said to leave that sleeping dragon alone. But even so, if Trump steps to the wrong drum beat, the consequences will be devastating. 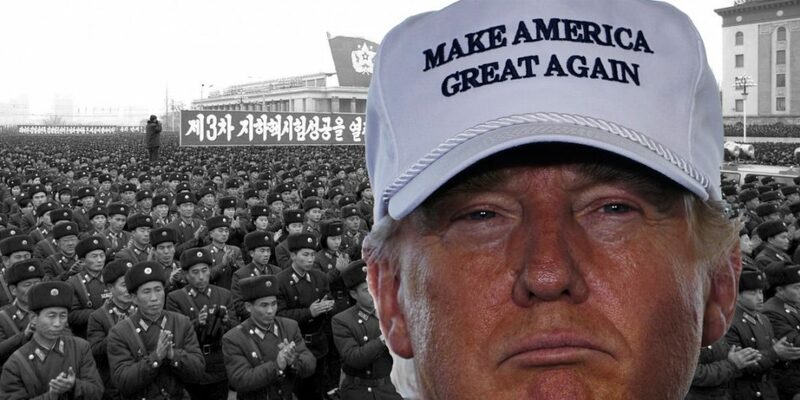 Japan and South Korea will likely suffer for any mistake the US makes before the US ever feels the nuclear pressure. North Korea will open with artillery and rocket fire from positions on the North slopes of the mountains just across the border. The North has the world’s largest artillery force with 10,000 pieces in their arsenal. The bulk of these forces are at the border, with much of the rest around Pyongyang and near Nampo, the site of their electricity-producing dam. 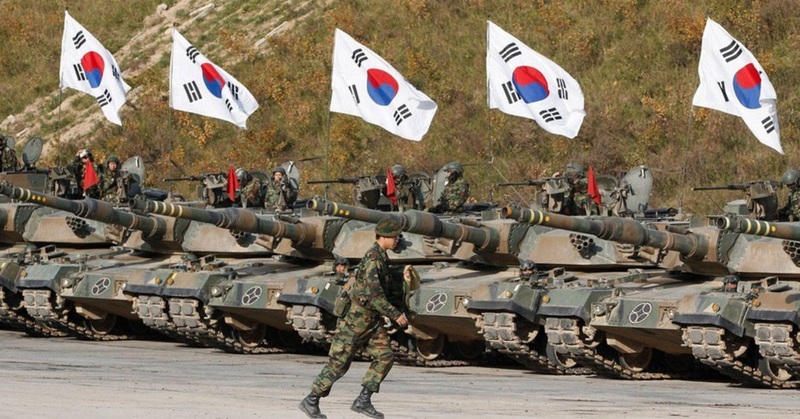 It is likely that the South Korean capital of Seoul, just 35 miles from the border, would be the first target and would be devastated in the opening salvos. After the conventional fighting, the question is whether North Korea would use its nuclear weapons. It is estimated to have up to eight weapons and ballistic missile technology capable of reaching US and South Korean forces in the Korean Peninsula, Japan, and all the way to Guam. The Googling of “World War 3” demonstrates the world’s unease. Asking if these issues are to become a catalyst to WW 3 is pertinent. If there is one, the world will take a long time to heal – longer than any war experienced in the past. But what needs to be realized is the rhetoric doing the rounds around the globe, as Lombardi points out. From this alone, uncertainty is created. No sane person wants a war. It wipes out wealth, it wipes out families, it wipes out trust. China is reluctant to engage in anything but talks and negotiation because they are fully aware of the economic implications of military action. It doesn’t make them weak. Anyone dependent on the Chinese economy, such as Australia, are fully aware of the looming depression a war would bring. The term is googled because the world doesn’t want it. Regrettably, the world hangs in the balance and is on a thread as a handful of leaders weigh up their chances. This article (Google Search ‘World War 3’ Highest in Over a Decade) is a free and open source. You have permission to republish this article under a Creative Commons license with attribution to the author AnonWatcher and AnonHQ.com.